The Graco Dream Suite is a two in one product with a changing table under the sleeping surface. This useful feature requires flipping the bassinet upside down and results in a design flaw of a chronically tilting sleeping surface. This tilt could result in rolling babies, and the mattress is so firm it adds insult to uncomfortable design. While this bassinet has an attractive price and a cute look, it has too much fabric and not enough mesh surrounding the sleeping area which potentially impacts breathability. Overall, the disappointing design choice and lower quality materials make the Dream Suite a bassinet we think needs improvement. The Dream Suite seemed to be lacking in comparison to most of the competition with materials and functionality that didn't quite measure up. In 1942, two men by the names of Russell Gray and Robert Cone co-founded Graco in Philadelphia, PA. They began by fabricating car parts. 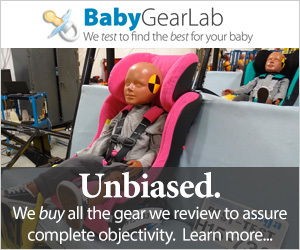 Years later, Gray made the decision to leave the company and Cone hired an engineer to produce gear for babies. The new Graco's first product was an infant swing inspired by a coworker who used an outdoor glider, to soothe their crying newborn. Graco quickly became the world's leading manufacturer of baby products with a variety of strollers, highchairs, walkers and more. This chart gives the overall scores for the products tested in this review, with the Graco Dream Suite (in blue) ranking lower than most of the competition. The sections outlined below include details on the performance of the Dream Suite compared to the competition. The flip to changer mechanism on the Dream Suite takes some practice and never moves as smoother as we think it should. The Suite Dream earned a 5 of 10 for ease of use. This bassinet is also a changer when you flip the sleeping area upside down. The flip is done with a handle at the foot of the bed and moves smoothly without much effort. The smaller footprint means you can use this bassinet close to the bed but the lower sleep surface height means you'll need to sit up in bed to access baby. This is not a true cosleeper where you can access baby as you lay down in bed. The Graco Dream Suite wheels are on the smaller side which makes floor transitions harder to traverse. This product is small and light with four locking wheels. These features make it very easy to move from room to room and potentially up and down stairs. However, it is not suitable for travel and requires disassembly to transport. Do NOT move bassinet with a baby on board. Given the potential for injury related to moving accidents, you should never move the bassinet with your baby still inside. Even if your baby is sleeping, we recommend resisting the temptation to relocate the bassinet with your baby inside. This bassinet includes the underside changing table (above left) that can be used by rotating the bassinet upside down (above right). It offers two levels of vibration designed to help soothe the baby into sleep. It also comes with a light filtering canopy that has two soft toys hanging from the edge. This product took about 26 minutes to set up. Set up isn't difficult, but the directions are hard to follow. Despite pictures with captions it still isn't clear what is happening. Because it has the flip changer it is important that it is assembled correctly. We had the hardest time connecting the final rod in the bottom basket and felt there should be more details on how to do this in the manual. The mattress cover is removable and machine washable. The rest of the bassinet and frame wipes clean with mild soap and water. Spot cleaning could make it tricky to get the mesh and sleep area truly clean should the baby have a blowout or vomiting issue. The Dream Suite quality and functionality did not impress during testing. The Dream Suite earned a 2 of 10 for breathability. The majority of the sleeping area has fabric sides with only small panels of mesh near the baby's head. This design mimics crib bumpers which have been identified as a potential SIDS risk. This makes the Dream Suite less breathable than the competition with full mesh sides. We think it would be better if the entire sleeping area was surrounded by a mesh with no fabric just in case baby moves in the crib and ends up with their face pressed against the fabric areas. While the Dream Suite has panels of mesh, it isn't entirely mesh and has almost as much fabric as mesh which is a disappointment in our opinion as it can potentially impair breathability. The Dream Suite earned a 5 of 10 for the sleep surface. Our compression test results indicate this mattress compresses more than all but one of the competition. The Dream Suite has one of the most compressible pads in the group. This means the baby is likely to feel the bottom of the mattress and it isn't very firm offering less support. The mattress isn't as stable as some given the flip-ability of the sleeping area. The pad of the Dream Suite is secured to the bassinet floor with Velcro to help avoid shifting. This means it somewhat tilts to one side and the baby could potentially roll into a corner. However, it is a snug fit on the frame with no gaps and doesn't shift or move. The Dream Suite has a divided storage bin under the sleeping area. The Dream Suite earned a 2 of 10 for quality. This product isn't as stable as the competition with the ability to tilt the bassinet with pressure on the side and the flipping action causing a continuous tilt. The base is a V pattern and will rock back and forth which might be good for soothing the baby but might also put stress on the plastic connectors damaging them over time. The fabric and stitching are the best parts of this product with a good fit to the frame and soft feel. The mattress is hard compared to the competition indicating poor quality that isn't as comfortable. The Dream Suite earned a 3 of 10 for eco-health which ties with 4 other options but is the lowest score in the metric. Graco makes no comment on their website about the use of flame retardant chemicals in their products, which leaves us to assume they potentially use them. This bassinet is made using 95% Polyester Fiber, 5% Polyethylene Foam and this kind of foam traditionally contains flame retardants and off-gases. The Center for Environmental Health (CEH) has given Graco a "fair" rating because they haven't responded to inquiries concerning chemicals despite customer service responses indicating they don't use them. Given that most companies brag about not using them, we find it odd Graco isn't and it makes us wonder if flame retardants are used in some of their products. This bassinet is JPMA certified. The Suite eco-health score is low thanks to a lack of response from the company when directly contacted, the potential for chemical flame retardant use, and the polyurethane foam used in the mattress. Amazon $149.99 - 12% off!